Trail riding in Ethiopia was amazing and hard at the same time, both physically and emotionally – especially coming to terms with the locals. Communication problems while travelling in Ethiopia got us by surprise. 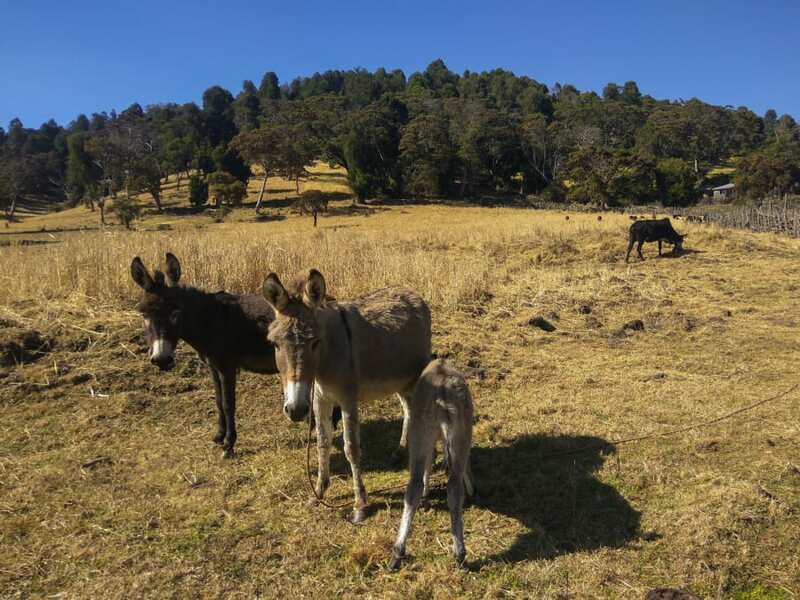 This is the fifth part of a seven-part-long story about our week-long trekking in the Ethiopian Bale mountains, devoted to our communication with the locals and our frustration from it. Read about the beginning of our adventure here. New horses were brought to the camp in the morning. 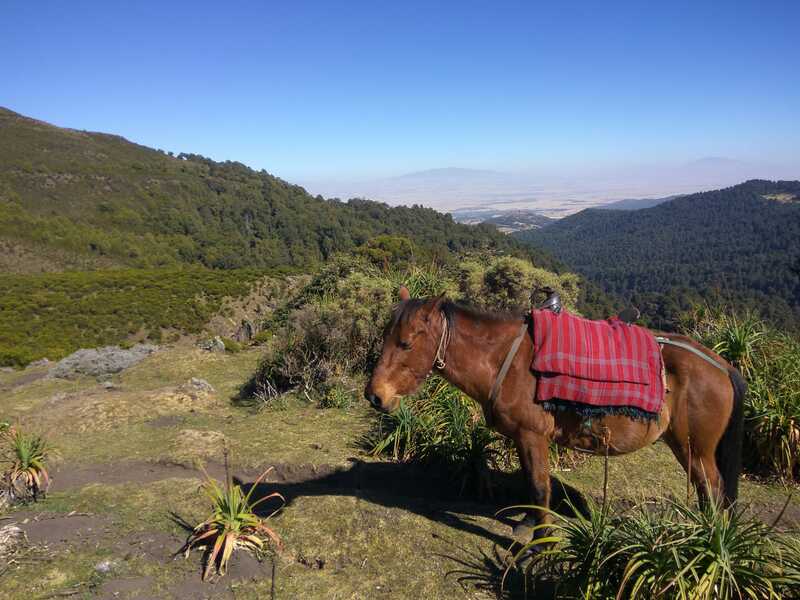 We were now descending from the Bale mountains, the hills became forested, and there were a few villages situated in the valleys between the hills. The clay fetched huts with pleated fences were peeking through green willows. Our next base camp was inside of a village. When we arrived, a few young boys on horses were shepherding the cattle back to their homes for the night. The horses were not saddled and the boys were holding onto the horses’ manes. Without fear, they galloped the stony slopes downhill. A path leading through a village. We arrived early on that day, so we took our mats, our books and went for a walk through the pastures and found a quiet spot for reading. However, our contemplative mood was soon disturbed. A pair of girls stopped in front of us and observed us from a close distance. After some time they were joined by some more girls. The group was moving closer and closer towards us. That made us close our books and start moving back to the base camp. The crowd of girls stood up and followed us. After some time, a couple of ambassadors left the group and ran to us to ask us for money. The girls followed us all the way to the gate of our base camp and were sent back by our backup team. Later we learned that trying to keep strangers company is considered to be polite in Ethiopia and leaving them alone is considered to be rude. At that moment we realized why the guides were obligatory – they were there not just to show us the way (it was rather easy to find it using a map and GPS app on the cellphone anyways) but also to ensure the communication with the locals went smoothly. Saying that I want to point out that the Dodola National Park is not unpopulated. Without a guide you are sure to be followed by locals and there would be a crowd of locals everywhere you stop. Our hut is on the right side of the photo. However, our communication with our Ethiopian backup team didn´t run all that smooth itself. Or, more to the point, they made us mad that evening (again). Sitting by the fire, they were bossing around a teenage girl, who had to move heavy water canisters at their order. They were apparently too heavy for her so that Balti had to give her a hand. Then they asked the girl to serve them coffee which she did. Once again, we had to notice that they eagerly let us invite them to eat our food and drink our tea but in turn never invite us to try any of their stuff. Surely, we took into consideration the difference in our financial situation, but just a small invitation for a cup of coffee would stand for an initiative from their side. So there already was some reservation towards our backup team. However, that night it turned into a confrontation. 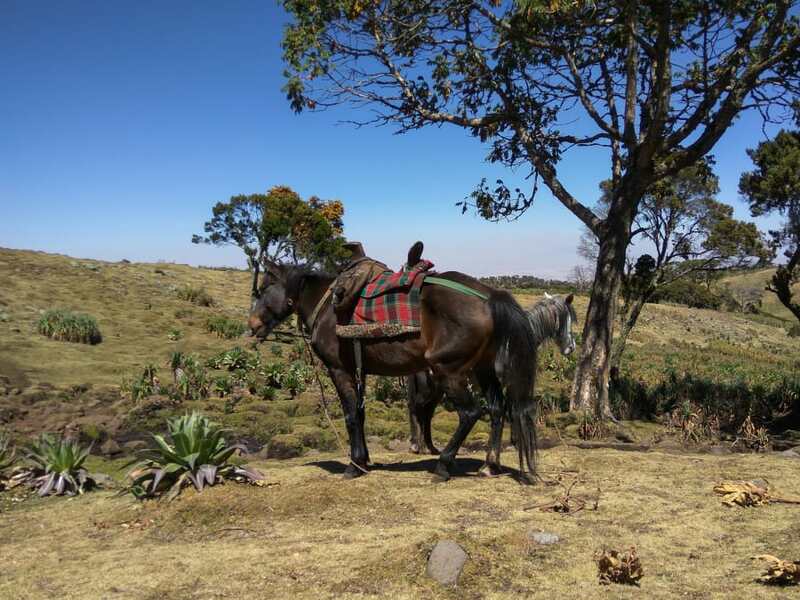 Our guide suggested that we owe him money, apparently for the horses we didn´t use yesterday and for the blanket rental in the previous camp. We pointed out that no one had brought any horses, that we did not ride that day and that the office guy had made it clear we didn´t have to pay for the horses on days we took as breaks. We finally agreed on a couple of dollars we paid him for the blankets that we had received in the previous basecamp. (If you haven’t read the last part: in the previous camp, the hut for the guide was missing. We let him and the cook sleep in the hut that was meant for us and slept in our tent – and we`ve got a couple of blankets so that we don`t freeze) It was nothing but we still felt offended considering we only had the best intentions. We felt like we were not seen as fellow human beings but rather as an institution of the World Bank. Without a doubt, poverty has pre-determined our relations on that trip. But still, it was hard for us to remain emotionally uninvolved. On that night, 2/3 of our trip was over and we made our first evaluation. We really enjoyed the mountains, the picturesque villages, we liked trail riding (despite the saddles and stirrups) but the social aspect of the trip was not its best part. The horses we had that day. We hope you found this article about communication problems while travelling insightful. 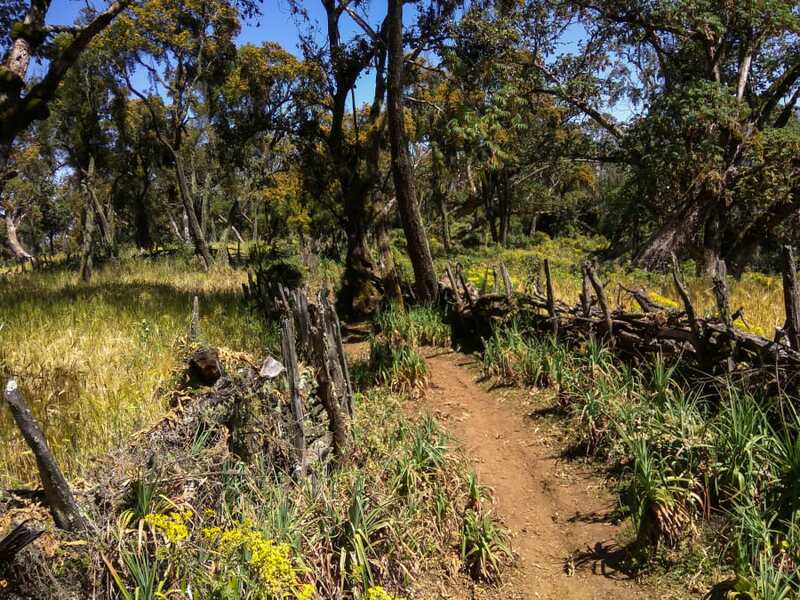 Find out more about trekking in the Bale Mountains in Ethiopia in the next post. Previous PostPrevious What Food to Take Camping in Ethiopia?